It’s autumn and pumpkins are a hot item. They’re prominently displayed on front porches and every restaurant has at least one pumpkin flavored item on their menu. We thought we’d share some of the health benefits packed inside these diverse vegetables (they’re technically a fruit, but most people consider them a veggie). A cup of cooked pumpkin puree contains more than 200 percent of the recommended daily intake of vitamin A, which helps promote normal vision and boosts your immune system. Pumpkins are also a great source of fiber. Fiber helps you feel full for longer on fewer calories. Beta-carotene, which may play a role in cancer prevention, is found in pumpkins. So, treat your body right and dive into a few of these scrumptious recipes that feature pumpkin. If you’ve never had pumpkin ravioli, then you’re definitely missing out. It takes a little work to prepare, but it’s totally worth it! Once you’ve had a few bites you’ll wonder why it took you so long to try. Image via Eat Yourself Skinny. 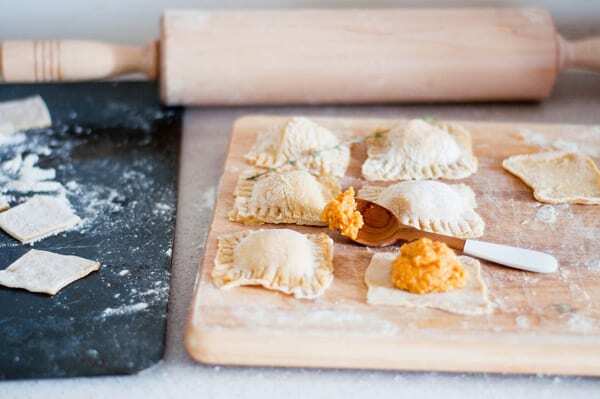 Amanda from Marshall’s Abroad shared a delicious recipe for pumpkin ravioli. Not only are her pictures gorgeous, but her creative use of pumpkins is inspiring. A steaming cup of coffee and a slice of pumpkin coffee cake will immediately remind you of foggy fall mornings. You could even always share with your coworkers if you’re feeling super nice. Everyone is sure to ask you for the recipe. If you’re looking for a breakfast option that’s packed with flavor, then look no further! 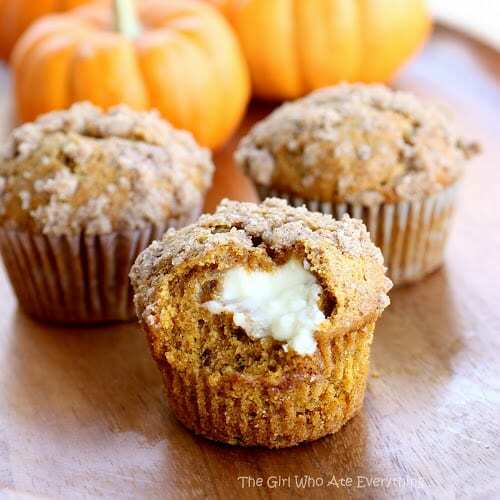 There’s a creamy center of cream cheese awesomeness hidden inside each of these muffins. They may seem somewhat intimidating, but they’re actually fairly easy to make. All of your friends and family will be impressed with your cooking skills, which is an additional bonus. Image via The Girl Who Ate Everything. Do you crave the deliciousness of a pumpkin pie, but don’t have the desire to bother with baking a time consuming pie? Well, you’re in luck because these moist cupcakes created by Nicole from Baking Bites are AWESOME! 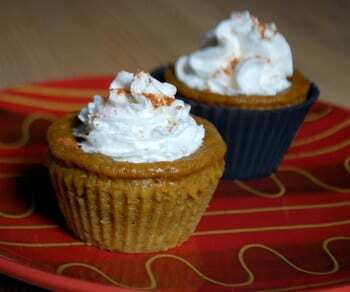 They taste just like a slice of pumpkin pie. It’s almost hard to believe, but they form a firm outer layer as you bake them in your oven. They’re portable as well as tasty. If you’re a fan of pumpkin spice lattes, then you’ll probably be extremely excited about this recipe. 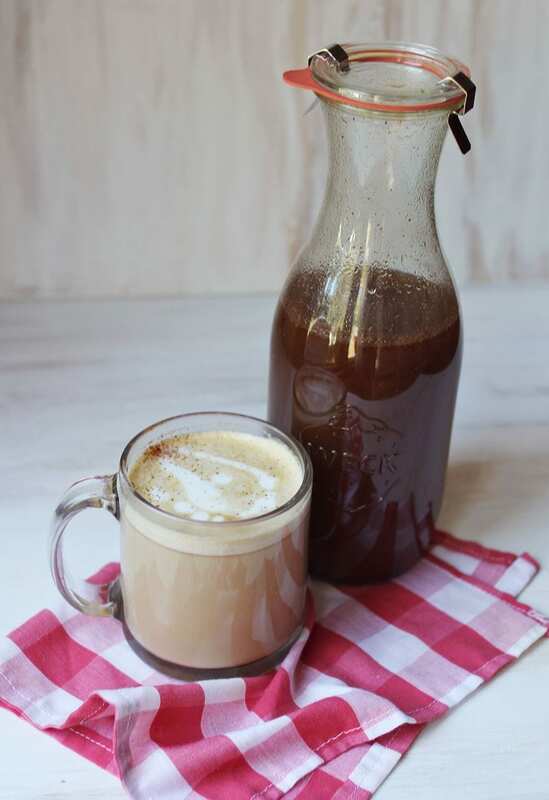 Emma from A Beautiful Mess created this scrumptious pumpkin flavored syrup. You can add it to your homemade coffee and create an inexpensive DIY pumpkin spice latte. Yum! Pumpkin and toffee? You better bet we’re somewhat gaga over these delicious gooey bars. 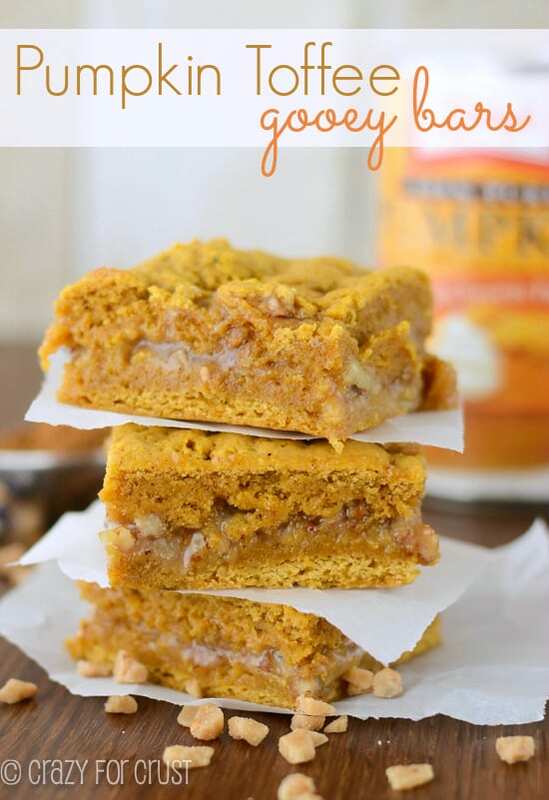 Dorothy from Crazy for Crust created these sinfully rich pumpkin toffee gooey bars. They taste like fall, which is pretty awesome. Image via Crazy for Crust. 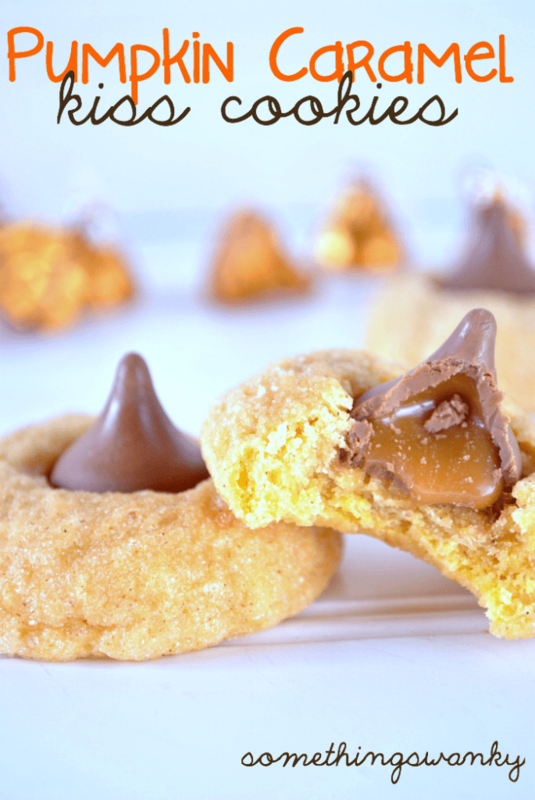 These cookies are somewhat similar to peanut butter blossoms, but they’re BETTER! It may be hard to believe, but you really should try some for yourself. We personally don’t think you can go wrong with caramel and pumpkin. Ashton from Something Swanky came up with this idea after looking for a pumpkin sugar cookie that wasn’t too dense. We’re sure glad she shared her recipe because they’re super delightful! Wait, did you say truffles?!? Mmhhmm. You probably already guessed it, but these chocolate pumpkin truffles are crazy delicious and super addicting! 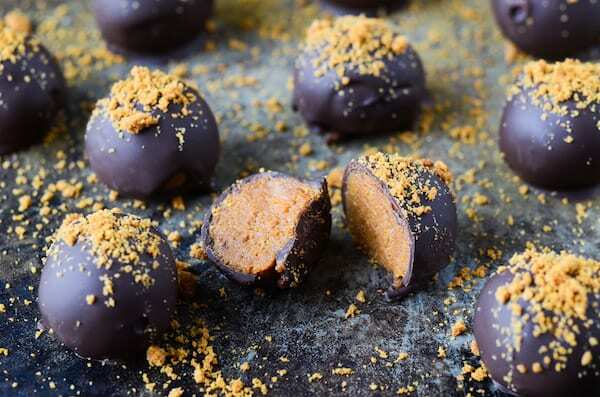 Jessica, from The Novice Chef, developed these chocolate pumpkin truffles for Dixie Crystals. The best part is you can dip some of the truffles in white chocolate and some in dark chocolate. Image via The Novice Chef. What are some of your favorite uses for pumpkins? Let us know on Facebook and Twitter?